Who would buy a ring like this - and why? It's for sale in a shop just around the corner from the Café de Paris. 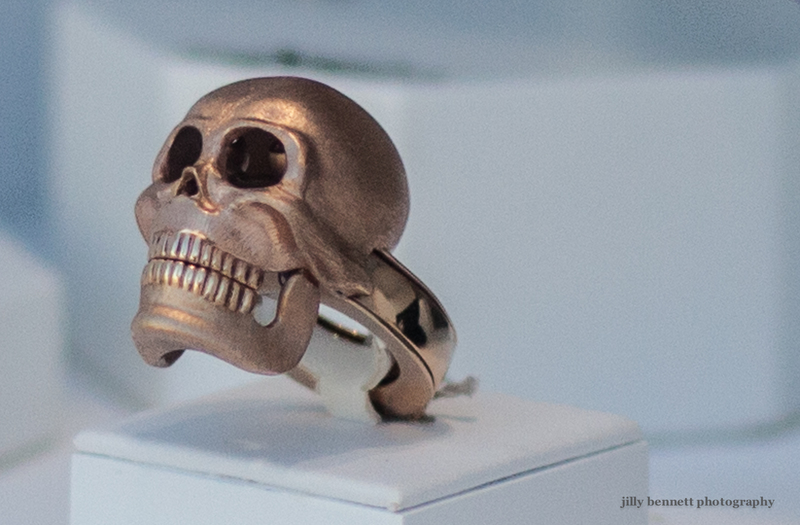 There are lots of adolescents who would love this ring to add to their Goth attire. Doesn't hold much fascination for me. I've seen a few characters in action films that might go for this ring. Nobody wants it? Then I would love to have it :)!! !